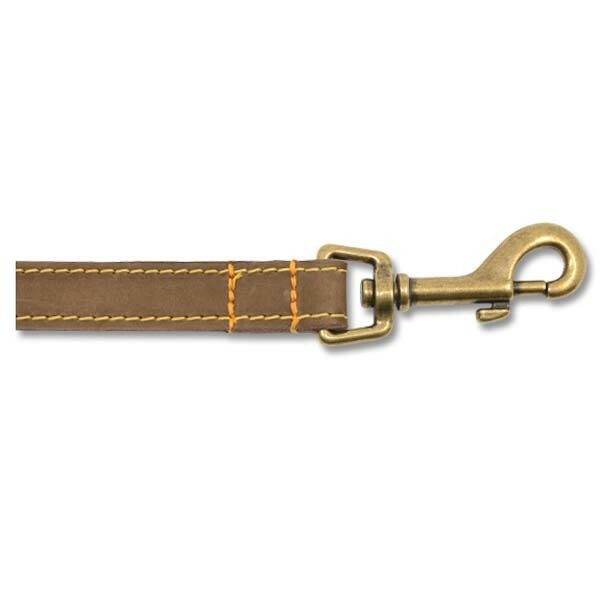 Ancol Timberwolf Leather Dog Leads are hard wearing, tough, water repellant and made from the same premium bridle leather as the other timberwolf products that have a consistent grain and thickness, that is specially treated to ensure the lead is soft and supple, but exceptionally strong with heavy duty die cast antique gold fixings. 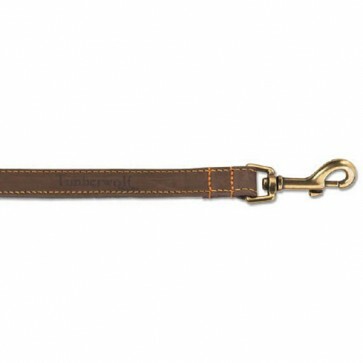 Just like the timberwolf leather dog collars, the leads are tanned with 100% natural fats, to help the leads remain soft and supple, but also importantly to improve long term durability. When these natural fats used in the tanning process become cold they will sometimes appear on the surface of the lead, leaving a white like residue, that can easily be removed with a soft cloth. The natural fat oils help keep the timberwolf leads, from becoming dry and brittle just like a moisturizer and provide a water repellent barrier that should help prevent damage to the lead occurring, such as cracking or splitting caused by the lead being folded and placed in a pocket or from the outside elements, which could result in an inferior leather lead being replaced earlier than expected, costing you money! All the edges of the timberwolf leather leads are sealed during the manufacturing process to prevent damage and 3M leather protector is applied during the tanning process that bonds with the leather to improve water repellence and protect the lead against oil or dirt stains and stitched with strong industrial bonded thread for extra strength and improve the durability of the lead, consequently timberwolf leads, collars and beds are very popular with working and gun dog owners, as they represent good value for money! 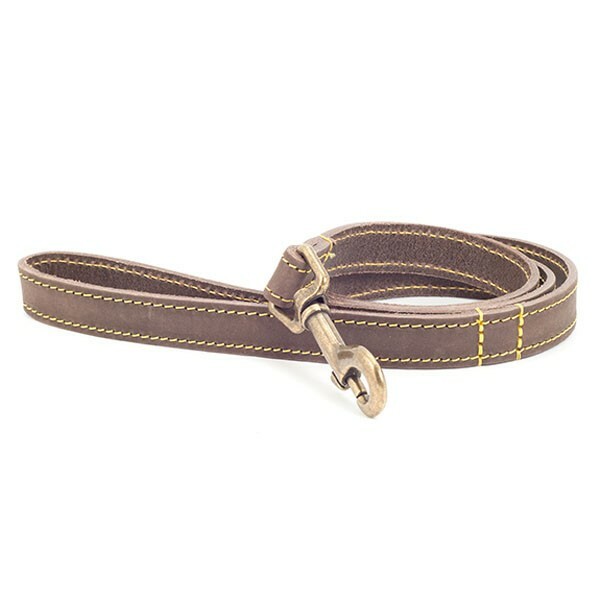 Also available on this website are matching timberwolf dog collars to compliment your timberwolf dog lead. - Available Colours Sable (Brown) Only!